If you're reading this article on a desktop computer, there's a decent chance you're sitting in an IKEA chair or your computer is resting on an IKEA desk. You may have slept in an IKEA bed frame last night. There's a strong chance that somewhere in your home you have a coffee table, dresser, couch or bookcase from IKEA. Since being founded in 1943, IKEA completely changed the way we furnish our homes. It also absolutely RUINED countless relationships that dared to visit an IKEA on a Saturday. Well, the company's quiet and low-key founder Ingvar Kamprad has died at the age of 91. Pour out a little meatball sauce today in his honor. Ingvar Kamprad was born in Sweden March 30, 1926. Kamprad began his career as a salesman at a very young age, buying matches in bulk and selling them at a discount. From there, it wasn't long before he began selling other items, including fish, Christmas tree decorations, seeds, ballpoint pens, and pencils. In 1943, the 17-year-old Ingvar borrowed a small amount of money from his dad to found a furniture store which he called IKEA. How'd he come up with the name? I = Ingvar, K = Kamprad, E = Elmtayrd (the name of his family's farm), A = Agunnaryd (the village where he grew up). People walk outside the Europe's biggest Ikea store in Kungens Kurva, south-west of Stockholm on March 30, 2016. IKEA operated on a small local level for a little more than a decade before striking upon an idea that would make them a worldwide powerhouse. In 1956, Kamprad and IKEA introduced the concept of "flatpacking" – where the un-assembled furniture would be packed flat in boxes then assembled by the customer when he got home. Flatpacking allowed IKEA to greatly reduce the shipping and storage costs of their products. All they needed were floor models and a giant warehouse to hold the boxes. IKEA passed these savings on to the customer in the form of very low prices. 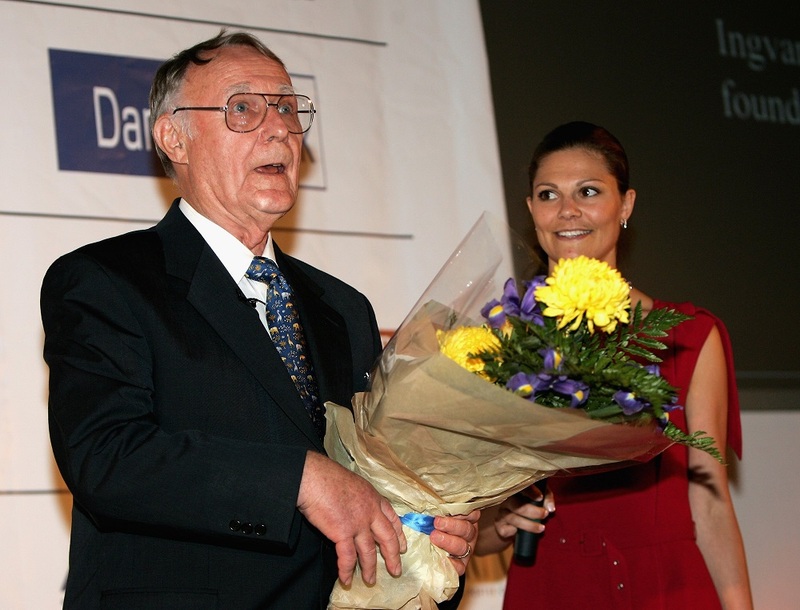 Along the way, Kamprad's personal frugality and work-ethic guided the company. Even after becoming a multi-billionaire, Kamprad was known to drive a beat-up old Volvo. He never flew first-class and frequently wore second-hand clothes. Even late in life when Ingvar was at times one of the 10 richest people on the planet, he would purposely visit farmer's markets at the end of the day hoping to get deals on vegetables. He allegedly would take home salt and pepper packets from restaurants. In 1970, Ingvar moved his family to Switzerland to avoid Swedish taxes, which at the time were the highest in the world. By 2007 he his net worth was $23 billion and was one of the wealthiest people on the planet. In 2016, IKEA generated around $43 billion in revenue. Ingvar remained in Switzerland until 2011 when he moved back to Sweden following the death of his long-time wife. Before returning to Sweden, Ingvar transferred the ownership of IKEA into a complex arrangement of trusts and foundations. These maneuvers reduced his taxable net worth from around $50 billion to just $113 million. He essentially no longer "owned" any part of IKEA. But it's a little more complicated. 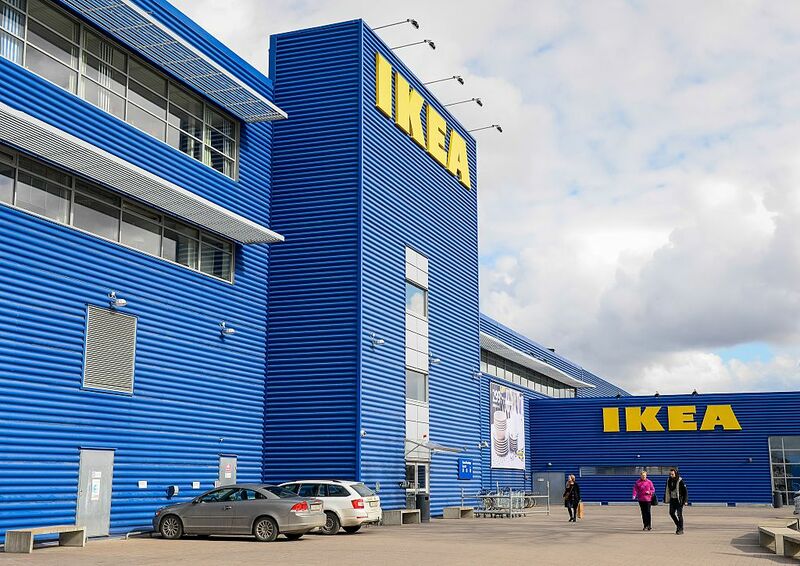 According to Bloomberg: "The asset [IKEA] is held through a complex ownership structure of foundations and other legal entities designed to protect the IKEA concept and assure its long-term survival. Because Kamprad ultimately controls this structure, he is credited with the full value of the IKEA companies. Kamprad disputes this." For what it's worth, Forbes has at various times estimated his net worth to be $3 billion and $60 billion. We here at CNW had his net worth listed at $42 billion at the time of his death. Regardless of whether Ingvar Kamprad was worth $113 million, $3 billion, $40 billion or $50 billion… one thing is for sure: His company totally revolutionized how we shop for furniture and how we live in general. Future Billionaire takeaways: What lesson can we take away from the life of Ingvar Kamprad? Solve a problem that affects billions of people. Everyone needs furniture and not many of us can afford $10,000 custom couches. Make a good product that billions of people want and need and you will be a future billionaire.